Scholastic Book Fair starts this Thursday, May 24 at Murphy Library — don’t miss these wonderful books! This past week Joy Bowlin turned six, and what did she do to celebrate? She visited the Murphy Library along with her 8-year-old sister Grace and 4-year-old sister Hope. 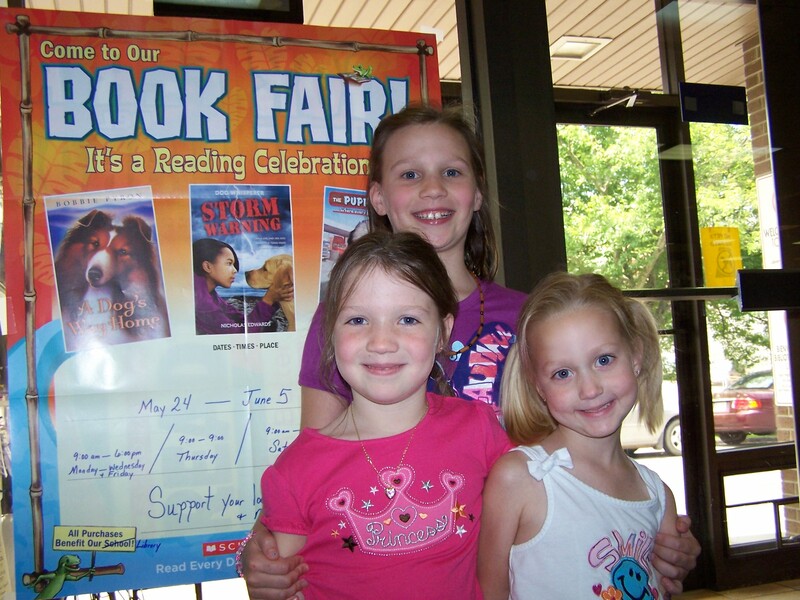 Joy, Grace and Hope Bowlin love to read and visit the Murphy Public Library, especially when the Scholastic Book Fair is going on. Their parents are Ellen and Larry Bowlin of Murphy and the girls are home-schooled. Like a lot of students in Cherokee County, they often visit the library to browse the bookshelves. 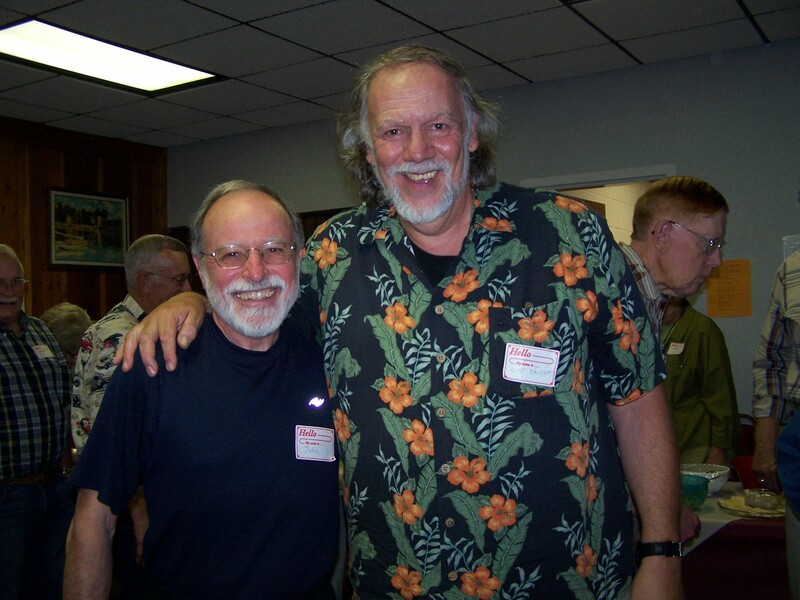 Friend of Murphy Public Library John Penz (left) congratulates Lee Knight on his excellent presentation of Cherokee and Appalachian folk music and ballads to the May 15 Quarterly Potluck of the Friends. Friends of Murphy Library member John Penz and his wife Martha were happy to catch Lee Knight’s memorable evening at the Friends quarterly potluck dinner Tuesday. Knight is a renown folk musician and storyteller. He played his magnificent black walnut banjo, his Cherokee flute, drums and other instruments. He even sang the wonderful old ballads acapella. It was a very good night. The Murphy Library is showing, 84 Charing Cross Road, a movie for book lovers and letter writers this Thursday. It is rated PG with screenings at 4 p.m. and 6 p.m. and stars Anne Bancroft, Anthony Hopkins and Judi Dench. Running time is 100 minutes. Helene Hanff (Bancroft) is a struggling writer in New York City who loves to buy books, even on her meager income. When she sees an ad by a London used-bookstore, Marks & Co., she mails them her wish-list, with little hope of success. Then a package of books arrives with a note from Marks & Co.’s book buyer, Frank Doel, (Hopkins) and thus begins a twenty-year correspondence. If you can’t remember the last time you wrote a letter, this movie could inspire you. Helene’s voice is fast-talking, New York style. If this were a boxing match, she’d be throwing quick jabs. Frank’s rhythm is that of a polite Englishman with a twinkle in his eyes.